A short diversion before we continue with the tale of Captain Matthew Grose and his sons, (the Cornish Mine Agents in the Isle of Man). Anyone with a deeper interest in the history of mining and engineers in Cornwall, should follow the fantastic NAVSBOOKS blog. 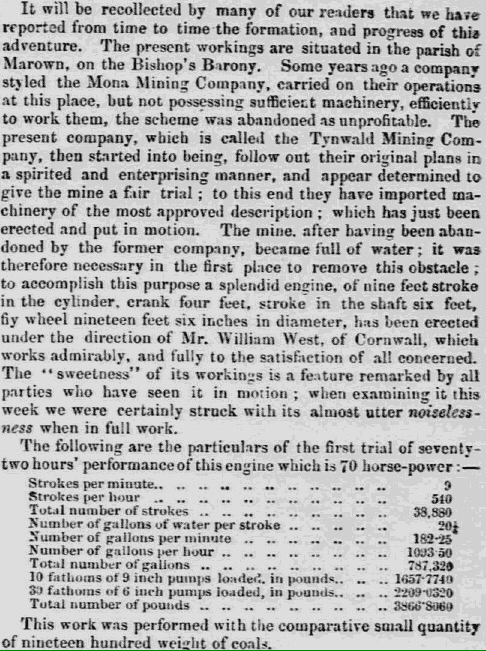 The NAVSBOOKS blog covers in great detail many of those involved in Cornish mining and engineering, including Samuel Grose, John Taylor and William West. Interestingly it seems that all of these had links of some sort to the Isle of Man. We’ve already seen how Samuel Grose (“the most scientific engineer in Cornwall”) was the first cousin of Matthew Grose (1788-1849), who moved to the Isle of Man. Also how John Taylor intervened when the Isle of Man Mining company dramatically dismissed Matthew Grose. But what about William West? 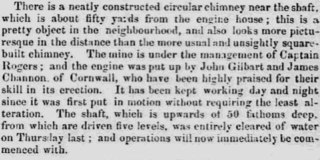 Yet again we see the close ties between mining and engineering in the Isle of Man and Cornwall.